It has been awhile since I've posted and all I can say is, I've been so so busy... I really have no excuse, but I list a few anyways: finals madness, last minute travels, the hectic holidays, planning for more looming travels, a million and one errands, trying to see all my friends while home in Florida... I've just been trying to keep my head above water these past few weeks and whenever I've had free time I've honestly been too burned out to even know what to write. But it's about time I post something. After a two week finals period following Thanksgiving break, I was easily ready for some R&R and decided to book a last minute flight down to West Palm Beach. There, Ashley met up with me and we spent a couple days in Palm Beach and then in Miami. It was a much needed break in between finals stress and holidays stress. And fun fact, I got all A's on my finals, so I deserved a break if anyone ever did. I left just in time to miss out on the worst of the snow that hit the Northeast, a huge relief considering I am not a cold weather person at all. I left 18 degree temperatures and landed in 81 degree temperatures. 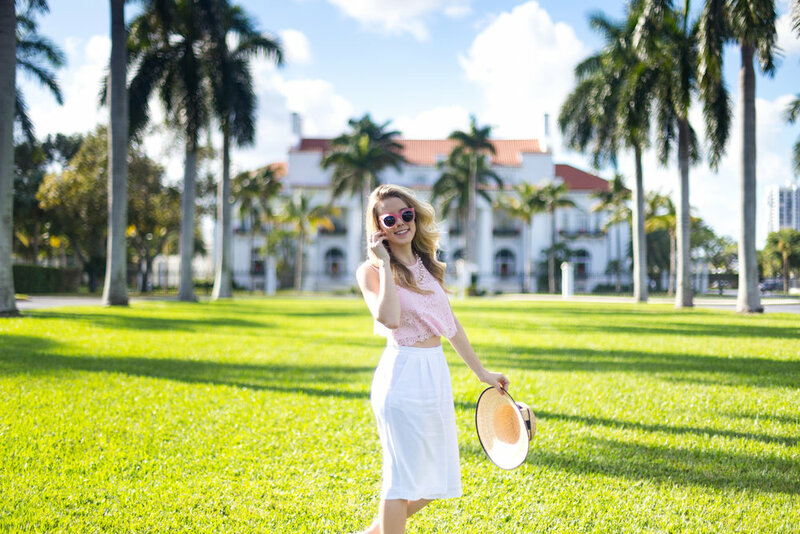 We chose Palm Beach because I'd been wanting to go there for awhile to explore the gorgeously preppy avenues and it seemed a natural progression for a more laid back spot before Miami. The preppy paradise is, after all, where Lilly Pulitzer started her iconic line of colorful dresses. The island is generally small but oozes charm and glamour, its palm-lined drives home to some of America's wealthiest beach-goers. 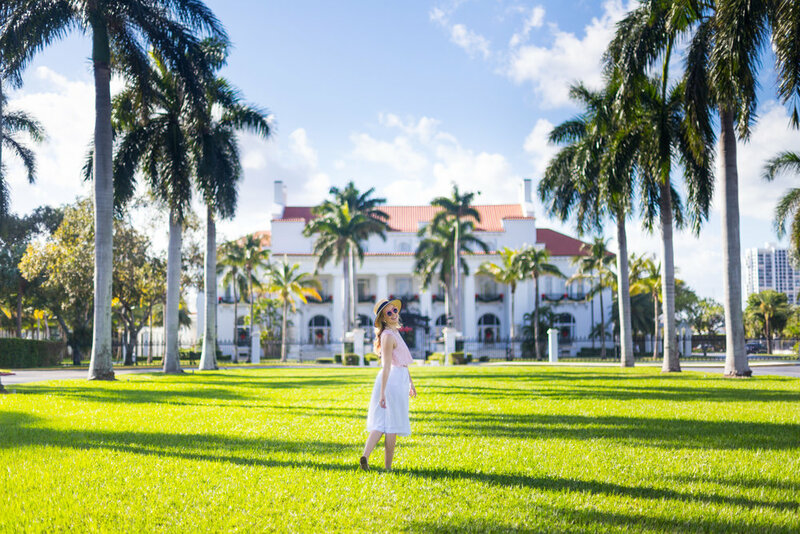 Our first stops were some of the most classic: The Breakers and The Flagler Museum, both testaments to the rich history of the area. I stayed at The Breakers when I was younger for a conference my mom was attending, but needless to say, with that pricey nightly rate, we stayed elsewhere. It was a lot of fun to explore though and we ended our afternoon nearby with dinner at the delicious Cucina Dell'Arte, where we ordered two orders of the delectable 4 cheese ravioli with lemon sauce (Ravioli Franco) and some yummy Italian red wine.